These templates were created using Word 2010 and are in .dotx format. You can download the files to use in Word 2010 or 2007, as well as Word 2003 as long as you have installed the Compatibility Pack for Microsoft Office. You can preview any of the signs by clicking on the corresponding image to enlarge the view. When you find the template you want to download, simply scroll down to the References and Resources section at the end of the article to find the link. On the download page, click the Download link denoted by a green, downward pointing arrow. Open the file in Word and customize it to suit your needs. 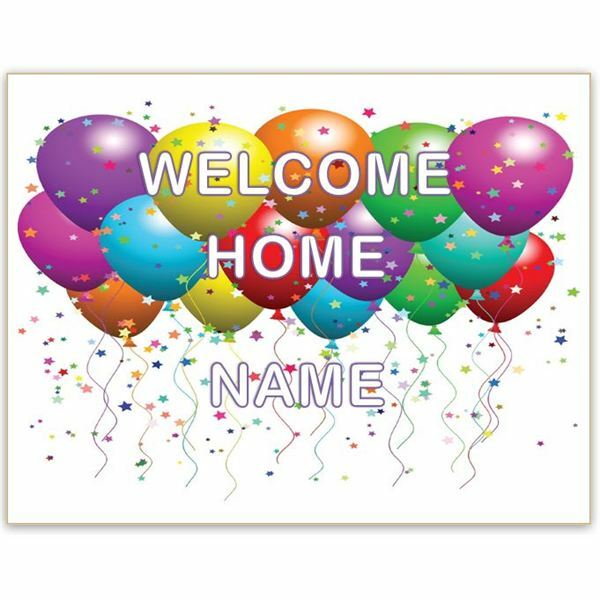 This sign is ideal for welcoming military personnel home, whether you are greeting a loved one or celebrating troops arriving at your local airport. 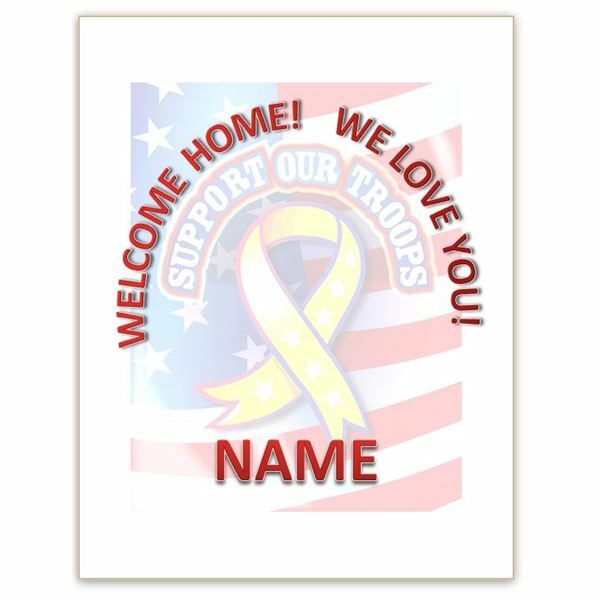 The background features a yellow support ribbon against an American flag with the words "Support Our Troops." When you open this template, the page background may appear extremely faint. This is because it has been added as a watermark. When you preview the page before printing or print the page, you will see that it is clear and visible. In the foreground, there are two WordArt images. One states, "Welcome Home! We Love You!" in a half circle bending at the top of the page. Another image simply says, "Name." Double-click this image to edit it and enter the name of your family member or friend. If you are welcoming troops in general, you can change this to something else or simply delete it altogether. This sign announces and welcomes a new bundle of joy. The template features a happy stork in flight with a delivery cap on his head and a large, landscape orientation sign hanging from his beak. The sign reads, "Welcome Home Baby," but you can easily personalize it with the newborn's name. In addition, there are two clipart images on the left side of the sign. Each image features a baby, one with the words, "It's a girl" and the other with, "It's a boy." Simply click on the one that you do not want to use and press Delete to remove it. You can resize the one you wish to use by clicking on one corner of the image and dragging it to the size of your choice. Surprise a new husband and wife returning home from their honeymoon with this sweet and lovely sign. A background image in dappled violets and blues features flowers, ribbons and wedding bells. In the center of the sign, the words "Welcome Home" are written in an elegant wedding font. Below these words you will find sample text that says, "Mr. and Mrs." to which you can simply add the couple's last name. Alternatively, you can replace the sample text with the couple's full names. If you need something a little less specific, check out this final, all-purpose sign. In landscape orientation, it features a background of shiny balloons and colorful confetti. "Welcome home!" is cheerfully announced in bubbly white letters with purple borders. A WordArt image in this same design rests near the bottom of the sign. Double-click this to edit the text and change it to the name of your choice. You can change the font style or color as well, if you choose. When you are done, simply print the sign and hang it for all the world to see.